The new 2018 Ram 2500 is a rugged, powerful, and commanding vehicle. These trucks can take you from the Boerne dealership in Boerne, to the worksite, to the furthest off-road trails. A host of upgrades, trims, and available features ensure that this Ram can haul the biggest loads, tackle the most remote trails, or tow a massive trailer. 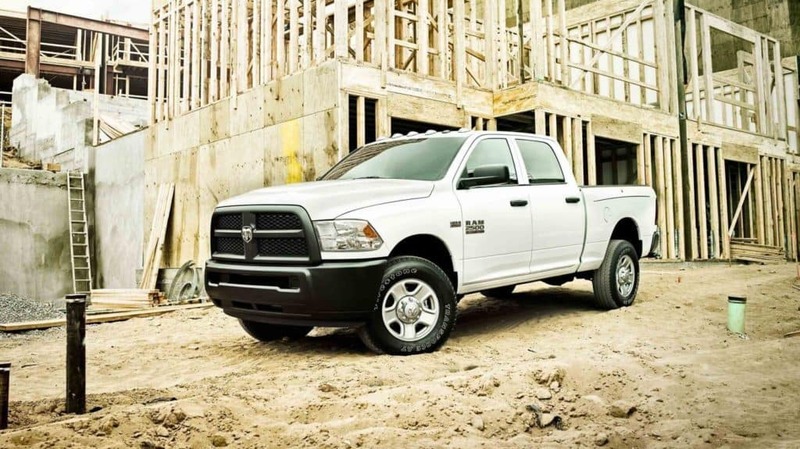 The Ram 2500 is built on a 50,000-psi steel frame, giving it a foundation that’s constructed to last. Durability and quality are the soul of this vehicle. 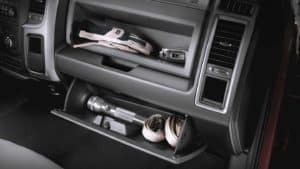 You’ll also drive with peace of mind, knowing that your diesel drivetrain is covered with a 5-year/100,000 mile warranty. The Ram 2500 not only has incredible looks, but also has extreme capability. The 2500 has aggressive styling throughout its design. Featuring an aggressive four-slot grille that gives it a true presence on the road. You will sit well above the trail on available 33-inch tires. Choose the 6.7L Turbo Diesel I6 engine with up to 800 pound-feet of torque or the legendary heavy-duty 6.4L HEMI V8 engine with an astounding 410 horsepower. The gas engine has a max 16,320-pound towing capacity. Grab this capable Ram truck and tow the nearest boat, RV, or trailer with ease. Nothing is beyond the range of the Ram 2500. Go with the 4×4 to experience the thrill of off-road action. This truck is functional on the outside, but you will be astonished at its comfort and sophistication on the inside. The Ram 2500 has enough room for your entire crew because it can seat up to six. Check out the available 8.4-inch touchscreen command center console, standard under floor storage, and available 7-inch instrument cluster for the driver. Go with available leather seating for luxury or work-tested vinyl for durability and easy cleanup on the jobsite. 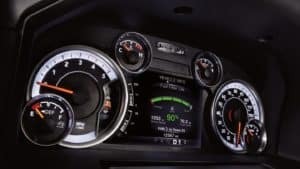 There are seven exciting trims for the 2018 Ram 2500. The 2500 has a package for everyone, including the standard Tradesman, the convenient SLT, and the bold Big Horn. For those who enjoy a luxurious upgrade to their rides, the Laramie and Laramie Longhorn packages are sure to please. To get the most off road capability out of your Ram, choose the Power Wagon. 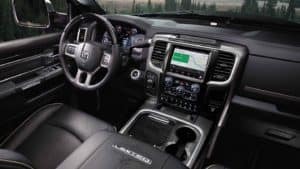 Last but not least, the Limited trim has everything drivers could ever need, including premium leather seats, remote entry, and the RamBox cargo management system. Boerne Dodge Chrysler Jeep Ram is the premier vehicle dealership for residents of San Marcos, Irving, Segun, San Antonio, and Bandera. 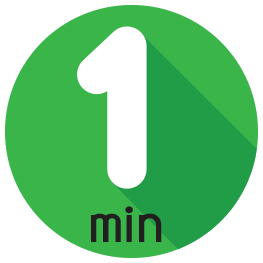 When you stop by, take advantage of our numerous specials and deals on new and used vehicles. Our friendly associates can help you create the Ram truck of your dreams and put together a financing plan that fits your lifestyle. 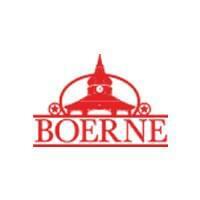 The Boerne service department also has the experience and customer focus that Ram drivers demand.